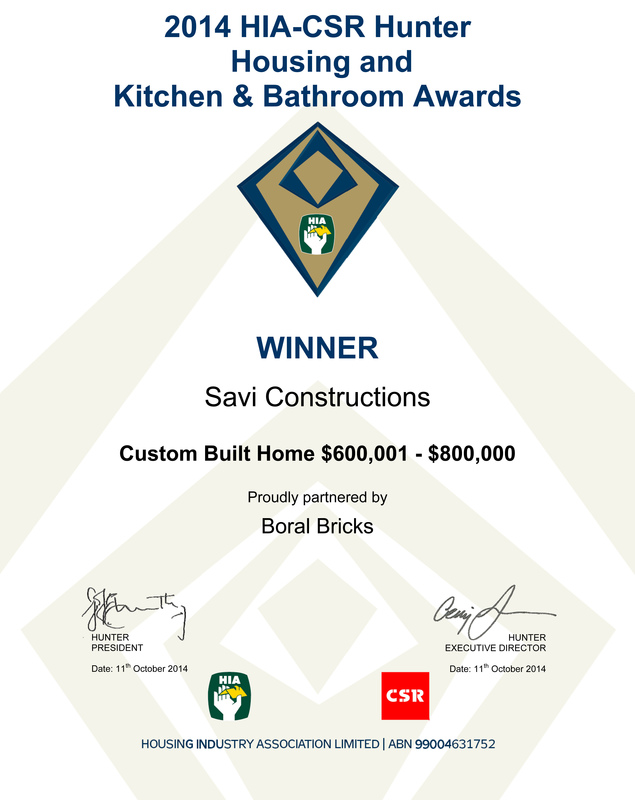 This beautifully designed home won the 2015 HIA Hunter Region Housing Awards in: Custom Built Home of the Year $600,001-$800,000. Set in a bush land setting this home is custom designed to fit on this site. This is home is made for a family to enjoy, four bedrooms, walk in robe, ensuite, parents retreat, rumpus room for the kids, warm cosy living room with fireplace, large kitchen/ dining area, three car garage and a concrete swimming pool. Set in a tranquil bush setting to the rear and vast views of Brisbane waters to the front, this home is made to withstand a firestorm, as it sits within a flame zone. With a mix of materials for construction, architectural features underlying all materials used on the exterior is what sets this home apart from any other on the block. Special methods in the construction process that will ensure this will withstand all of the harshest of elements. The home is set over three levels, constructed on a difficult steep sloping site. Completed in 2014.